He’s been a first-class teaching professional for some 30 years. He’s coached the most prominent of professionals and been the shaping mind behind the most hopeful juniors. His list of accomplishments is long. An academy bears his name in South Carolina, where top-notch athletes from around the world flock to learn his ways. But the A-Swing doesn’t stand for neither accomplishments nor academy. 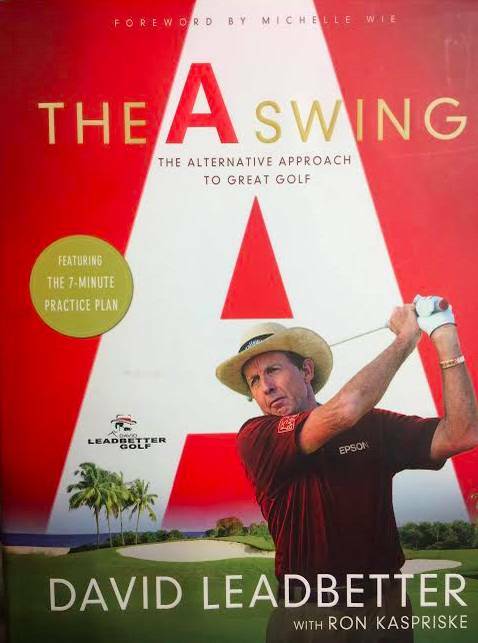 The “A” in “A Swing” stands for alternative and with it, David Leadbetter has an alternative way of teaching. The reason Leadbetter is pitching this golf swing is to offer a different way, an alternative way, to swing the golf club effectively and consistently. It’s the alternative approach to golf. See where the “A” comes from? David Leadbetter is the coach of nineteen major championship winners including the most recent, LPGA future HOF (is it too early to say that?) Lydia Ko. He’s built his name by working with the best brands (Callaway) and the best players (Nick Price, Sir Nick Faldo, etc.). He’s a name that remains synonymous with the game itself. He’s David “Friggen” Leadbetter! With base set-up in Florida, he originally hails from England, hence his distant speaking accent. He started his career in golf as a player, playing in Europe and Africa, but a shift in passion called him toward teaching. Anyone who’s listened to David for any length of time over the past 20 years knows this– David is always teaching and educating. It’s clear it’s a passion of his. Written by Leadbetter himself, with help from Golf Digest’s Ron Kaspriske, the book is a 188-page hardcover filled with images, stories and instructional lessons, all of which are backed with scientific proof. Leadbetter is firm that his technique is the most sound golf swing in the game. Started with a foreword from LPGA star Michelle Wie, the book is a complete resource for anyone looking to learn a new, easy to grasp golf swing. Leadbetter’s theory is that the swing is easier on the body in two key ways– injury prevention and repeatability. My favorite part of the book is the simplicity in which Leadbetter works to prove his points. His illustrations are clear and his message (despite being 188 pages) is concise. And who benefits from reading this book? Well, just about everyone. The A-swing method has a few dynamics that work completely differently than conventional golf swings, but they work with the same goal in mind. Check out Lydia Ko’s position half way back. The club stands straight up. I love this. See Lydia’s club at the top? It’s pointed to the right of her intended target line– across the line. Leadbetter believes that the most scrutinized element of the golf swing lies in the backswing. This is perhaps why he spends so much time diagnosing a simple one. Other elements of the method involve connection between the body and the arms. Part of the beauty of this golf swing is in the sync between body, hands and club. There is an awful lot of connection which leads to greater consistencies, absolutely. Without divulging too much information (you should buy the book), the method is sound. The book goes into deeper detail, but these are basics to show the effectiveness of the A Swing. Leadbetter didn’t want a good golf swing alone– he wanted science to be in his corner as well. A player who I think embodies this golf swing really nicely is Ryan Moore. Take a look at Ryan Moore’s golf swing below and take note of the way he executes the “A Swing” backswing. When Moore first unleashed this swing, it was looked at with grimaces and confusion. It didn’t fit in. It wasn’t typical or conventional. But he stuck with it, confident it would help him improve. In the meantime, he’s become a consistent player on Tour, despite rocking one of the most unusual moves. I’ve given the A Swing a try for myself. I haven’t committed the time to learning it as in-depth as I should to give a detailed personal account, but I still have minor successes to boast about. Anyways, back to my mini-success. I was hitting wedge shots on my local driving range and wanted to see how I could stop hitting this weak shot which didn’t penetrate and flared to the right (I’m right-handed). I had just read through Leadbetter’s book briefly and decided implement some of what I had read. I went with the hands outside, club shaft pointing up, across the line feel and worked to see what happened. I started FLUSHING these wedges. I was able to flight them lower, they appeared to have more spin (I’d love to get a Flightscope reading on that) and the contact felt so crisp. Repeatability wasn’t amazing, but I was trying this swing like a fresh pair of shoes, straight from the box. Sure, there were going to be a few blisters early. I worked it through the bag, and the longer the clubs got, the harder it became to get the same results. I still hit the ball fine, but I had a tournament to prepare for and I reverted back to my conventional swing. With a busy summer schedule, I never gave the A swing the same time of day. But I think back to the way I hit those wedges and I think to myself, maybe this winter, some work with the A Swing wouldn’t be a bad idea. The science all makes sense. I understand that it’s an easy to repeat, simple to learn swing with methods that take only 10 minutes (well, 7 minutes) per day to learn. I know it will help with injury prevention and I like the compression the swing gives me at impact. So when the snow falls, like I said, the A Swing may be something to work to institute into your golf game. Purchase your A Swing book on Amazon here. There are over 200 customer reviews on the Amazon review site right now. Feel free to sift through them and learn whether this swing is a swing worth pursuing. If anything, the book is a great read for those looking to understand better how the golf swing works. 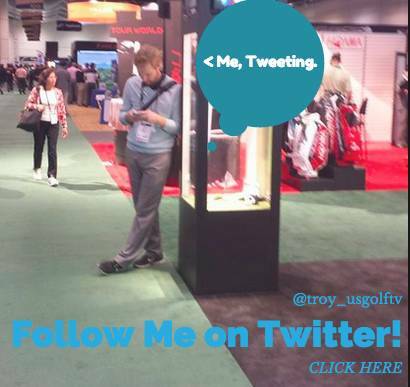 Previous post: Flightscope: What Happens at the Moment of Impact? Troy I had a lesson at the Leadbetter golf school in Leeds. I forgot what he told me, so went to the video from Leadbetter and remembered the ‘hands inside key’ I went to try it on the range and it feels to be incredibly inside the line, although I was having success (except with the driver). Is it a huge inside the line swing ? Or is it just feeling different ?